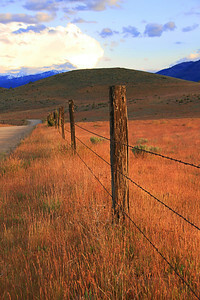 In the late afternoon, Mt. 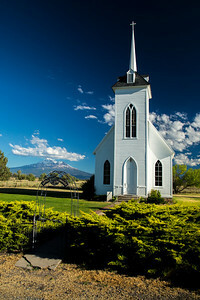 Shasta (14,179 feet) lords over the Little Shasta Church, established in 1878, in the Little Shasta Valley near Montague, CA. 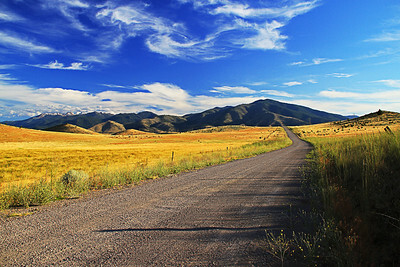 This image can be the center section of a wall-sized panorama measuring up to 96" in width. 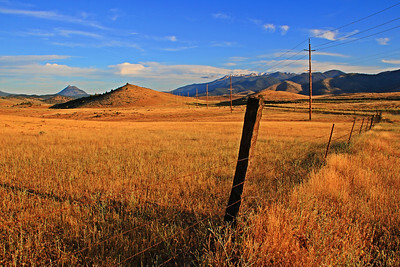 Vista looking south toward Mt. 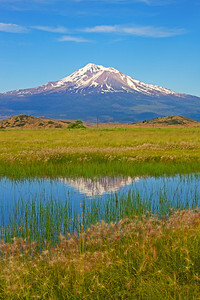 Shasta at 8764 Harry Cash Road, Montague, Siskiyou County, CA. Photo taken June 28, 2013. 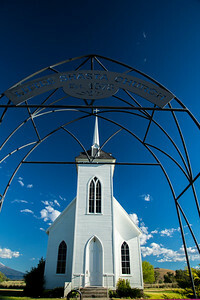 Little Shasta Church, established in 1878, in the Little Shasta Valley near Montague, CA with Mt. 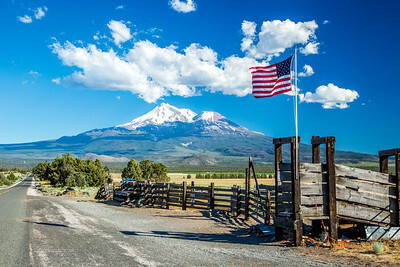 Shasta in the background. 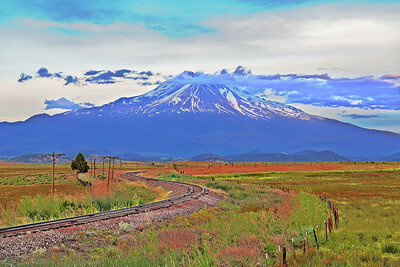 "Dreamland Mt.Shasta" - a seldom used rail line curves gracefully through the fields near Gazelle, CA as Mt. 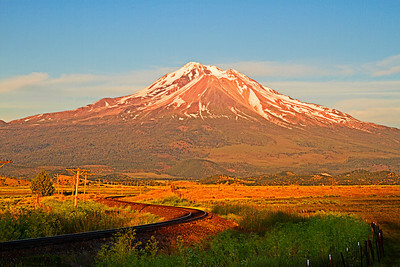 Shasta looms dreamily in the background. The larger this image is printed the more dramatic it is… a gorgeous palette of subtle fall colors enhances this peaceful landscape. 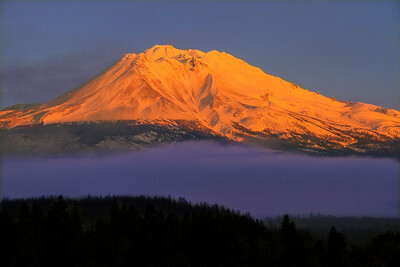 This image is intended to be printed on canvas 16" x 48"
A slightly different, earlier time of day shows Mt. 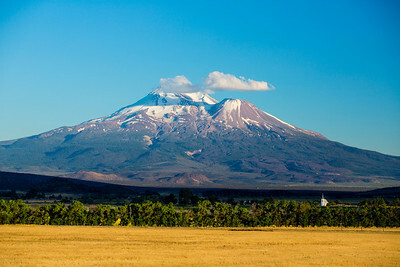 Shasta (14,179 feet) lording over the Little Shasta Church, established in 1878, in the Little Shasta Valley near Montague, CA. 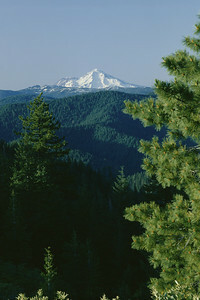 This image can be the center section of a wall-sized panorama measuring up to 96" in width. 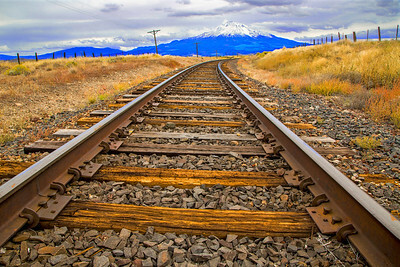 Not the Mainline: These railroad tracks along Old Highway 99 near Gazelle in Siskiyou County, CA still carry an occasional freight train for the Central Oregon and Pacific Railroad. 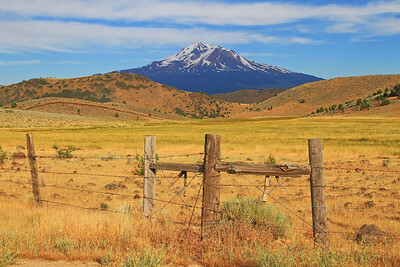 Mount Shasta (14,179 ft) provides a scenic backdrop along much of the route. 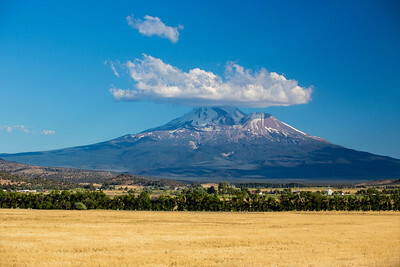 The High and The Mighty: Hot air balloonists enjoy the scenery in Siskiyou County, CA with Mt. 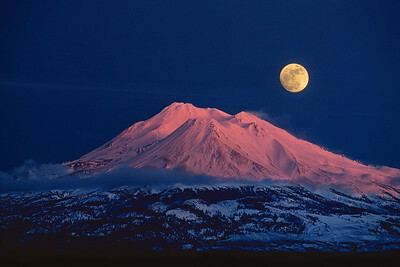 Shasta (14,179 ft.) providing a spectacular backdrop. 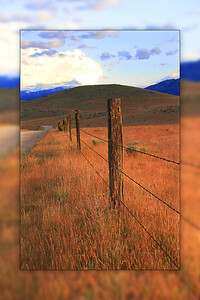 This image is an 18" x 72" panorama designed to fill a large wall space. 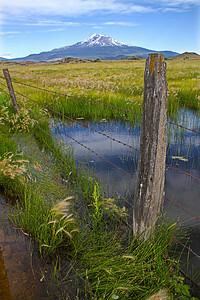 Cropping from the sides could yield a slightly narrower canvas but would effect the composition.